Every once in a while you need weed and lots of it. Perhaps you found a strain you absolutely love? Perhaps you have guests to entertain? Perhaps you’re broke, and you need a great deal like the one going on right now at the Smokin Gun? Our Happy Daze will certainly suite the bill. From open to close, Sunday through Wednesday, get an ounce for ONLY $99! This deal is good for EVERYONE, local or not, we don’t discriminate. However, if you’re a Prohibition Pass member, you pay $89! Not a member? Why not join the Prohibition Pass subscription. Not only save on your flower needs, we designed the pass to save you on all your cannabis needs. We have a ton of deals on wax, shatter, live resin, topicals, edibles and more. Star Killer, winner of Best Hybrid Flower at the 2016 Colorado Cannabis Cup, is a 70% indica-dominant hybrid that crosses Skywalker OG and Rare Dankness #2. The dense, purple buds offer a sweet, lemon flavor, and aid in treating pain, insomnia, AIDS, PTSD and GI Disorder. 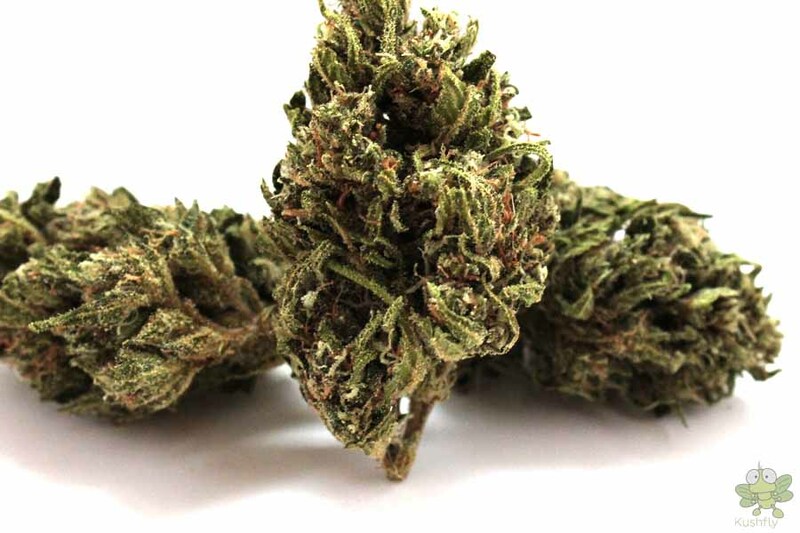 Grapefruit Diesel is a hybrid strain that is usually indica-dominant but gives most users a focused mental high that is more commonly associated with sativas. With THC levels between 15 and 20%, the effects should be as strong as the scent. The energetic buzz comes on fast but tends to smooth out over time. Green nugs with red hairs and lots of frosty tri-combs is what this strain has at first glance with its funky and spicy herbs and hashy undertones. Once smoked, it will leave your head clear and focused while your body is relaxed from pain and stress. It wont lock anyone to the couch, so it is safe to use during the day. Just don’t take too much in one go. No matter what you’re looking for, you’re bound to find the perfect strain. Stop into the Smokin Gun to sign up for the Prohibition Pass subscription and cash in on this dazing deal.